The Lion King will invade Manila next year for a musical spectacle like no other! 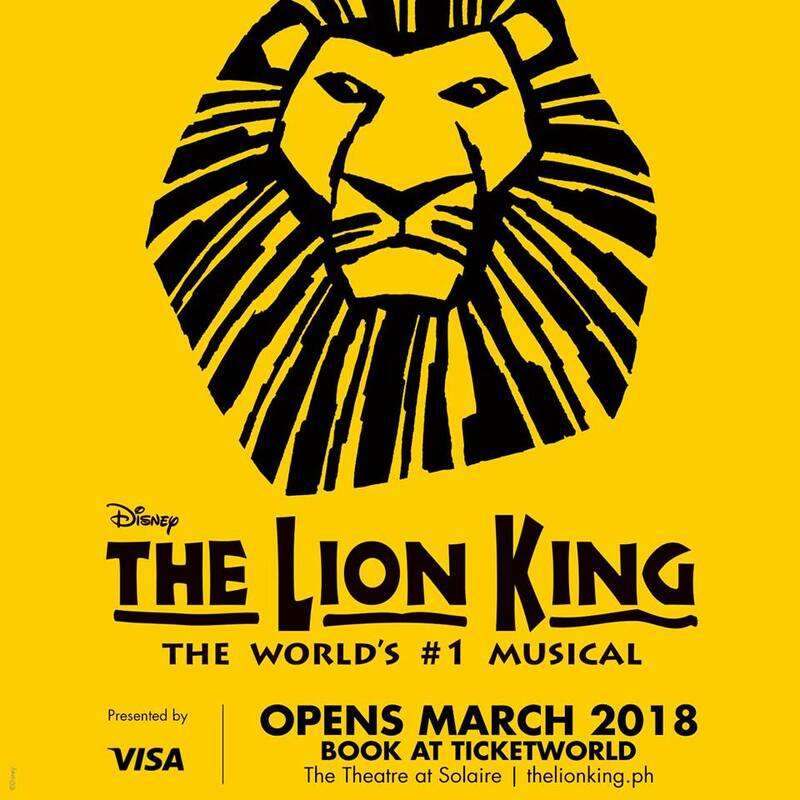 Seen by over 90 million people, Disney’s landmark musical event THE LION KING will run on March 18 to April 15, 2018 at The Theatre at Solaire Resort & Casino! Tickets for The Lion King go on priority booking today, October 25, 2017! Globe Postpaid and Platinum Subscribers and Visa Cardholders can enjoy 10% discount on tickets from October 25 to November 2, 2017. Selling of tickets for the general public starts on November 3, 2017. GLOBE Priority Booking begins today! Just enter your Promo Code to activate the "Get Ticket" button. Please note: You need to enter your Promo Code before selecting the date if you purchase via ticketworld.com.ph, or present it to TicketWorld outlets nationwide upon payment. You can use this code to avail of 10% discount applicable to up to 6 tickets. Promo is valid until November 2, 2017. Please check HERE for more info on the Globe Promo. You can also avail of 10% discount by using your Visa Credit, Debit or Prepaid Card. To avail of this Promo, eligible Cardholders may purchase their The Lion King tickets using their card in all TicketWorld Outlets or online HERE. Please check HERE for more info on the Visa Card Promo. Please visit lionkinginternational.com/philippines for more info.